It might be work, but it doesn’t have to feel like it. 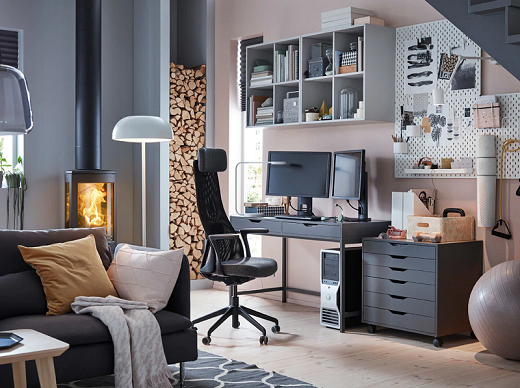 All it takes is a comfy chair, home office furniture that keeps things organised and the right lighting for the job. And by making it easier to tackle those to-do’s, you’ll have more time to spend on your wanna-do’s. A home office should blend in with the house — and this designer couple carved out a seamless space for their work. Desks with adjustable heights, cabinets on castors...and plenty of natural light. Here’s to a productive day! No home office? No problem. Turn your dining table into a work desk. 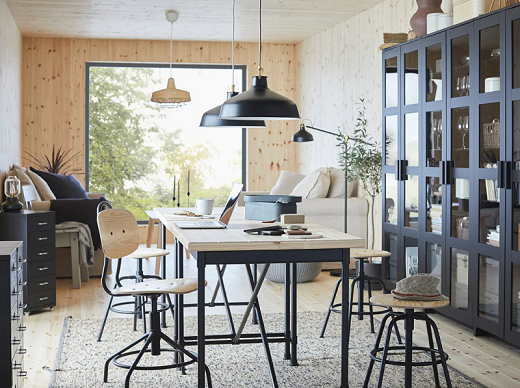 Portable furniture and an open airy space make it easy to turn work mode on and off the table. 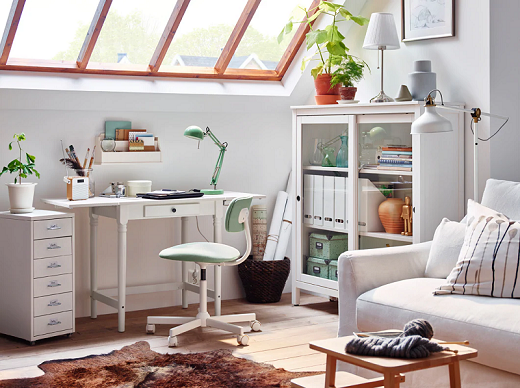 Enjoy a clean and tidy traditional style workspace with modern functionality. 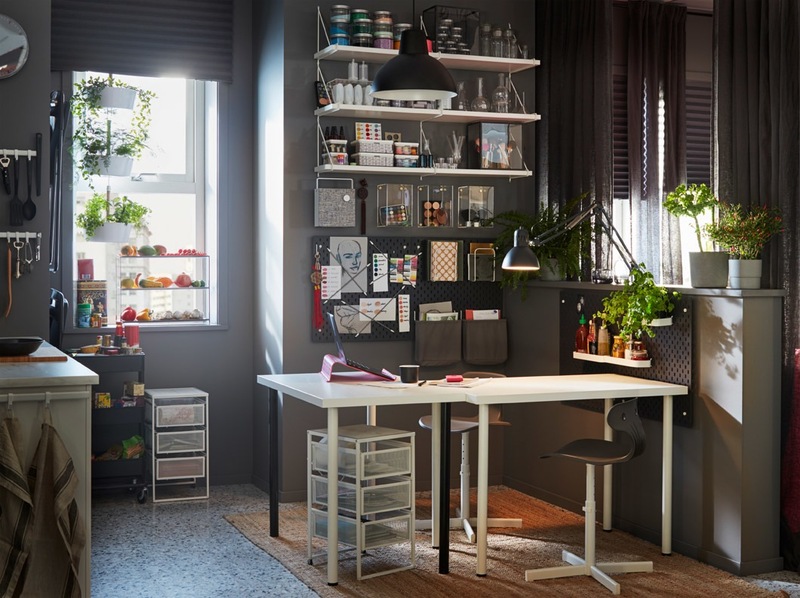 Make your work easier with a desk that allow you to adjust its size according to your needs and drawers unit that have slot for lable so you can easily keep things organised and find what you are looking for. 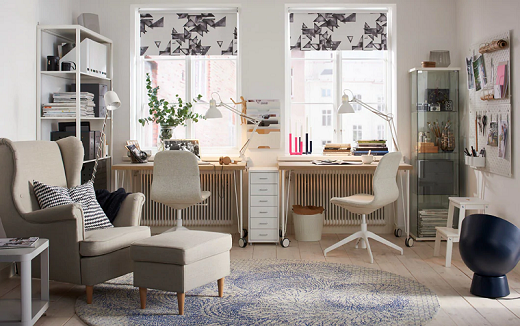 How if we combine our workspace and dining room? You just need a table that works equally well as a desk as it does for dinner. Add red wine glasses and candle holder if you want set up a romantic dinner tonight. Make the most of a larger size kitchen and place two tables back-to-back – so you have space for projects and pizza! Create more space to live, work and play with a storage solution that can be combined to give everyone in the family a private place to keep their favorite things. Imagine that you can work at a cosy place and perfectly tailored to your needs. A workspace that not only make you more productive but also enjoyable to read your favorite books on weekend. Bring your workspace to living room by placing a durable and slim desk to fit all size of space. Now you can finish your task while keeping up with their new stories. Make your workspace looks classic and elegant with a combine of dark green and dark brown color. Placing a glass-door cabinet to keep your books organised while you displaying your trophy. Fluid living doesn’t have to be complex. 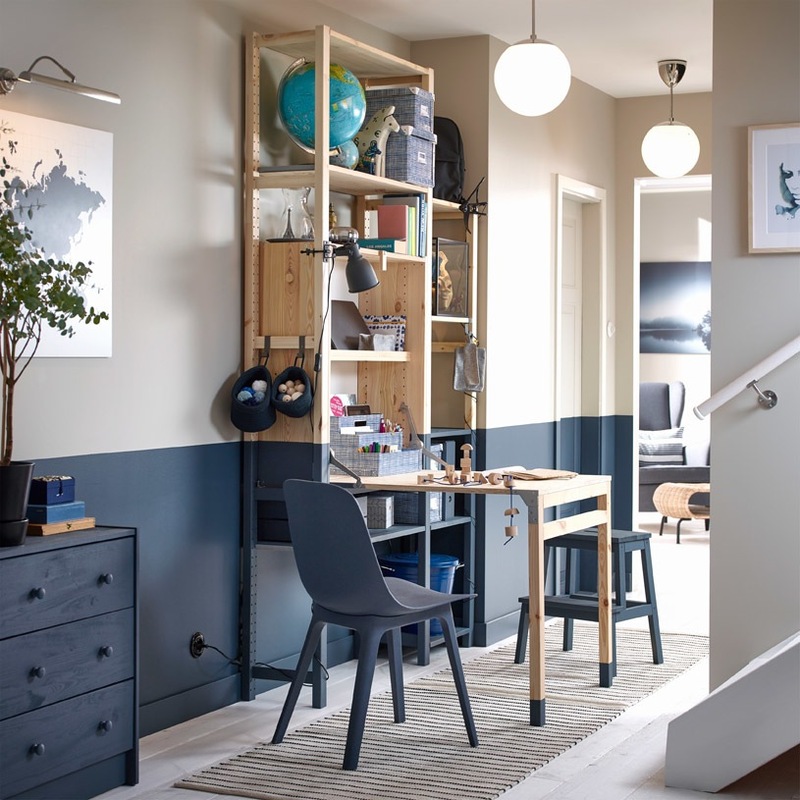 A trolley and rolling drawing units are the moving parts around a table, and can help turn your small home office back into a dining table.